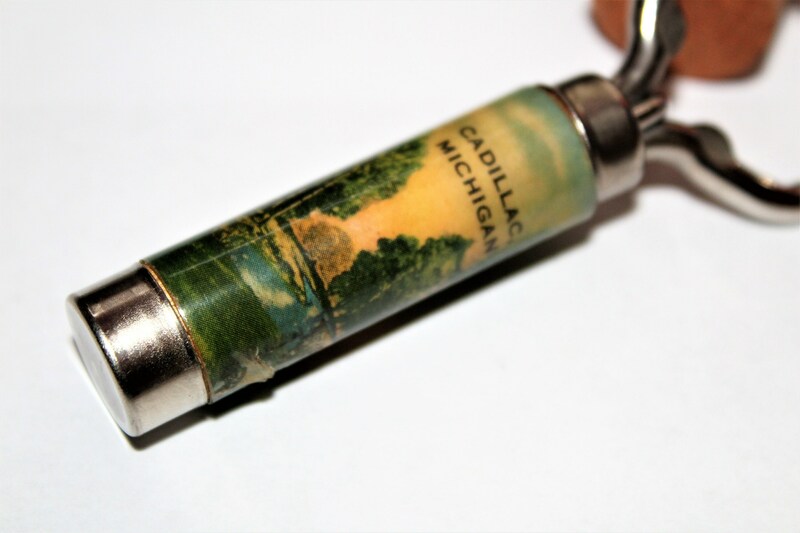 We have for sale a Vintage Flash Advertisement Corkscrew / Bottle Opener, Cadillac Michigan. 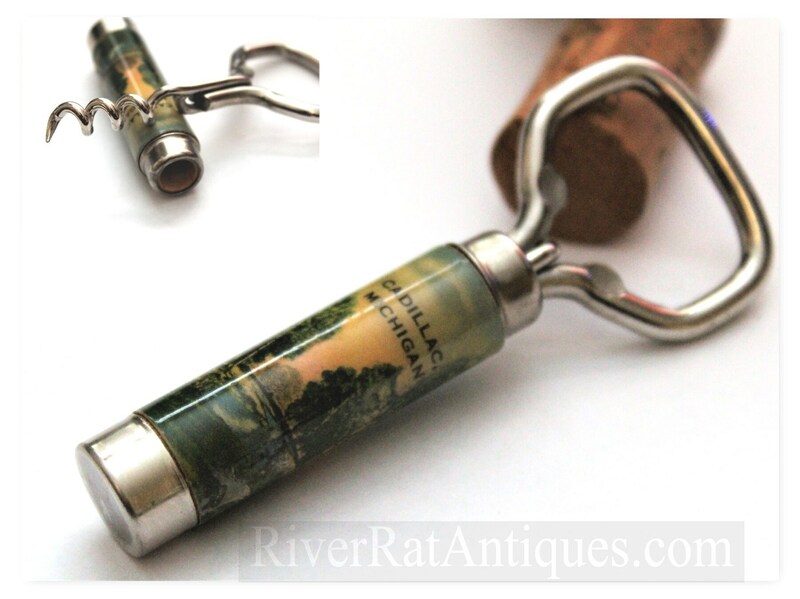 Manufactured by the Williamson Manufacturing Company, Newark, New Jersey. 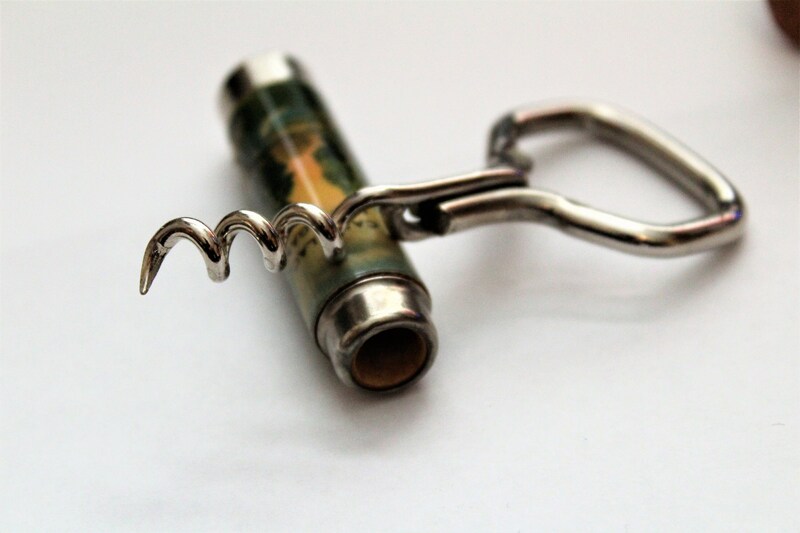 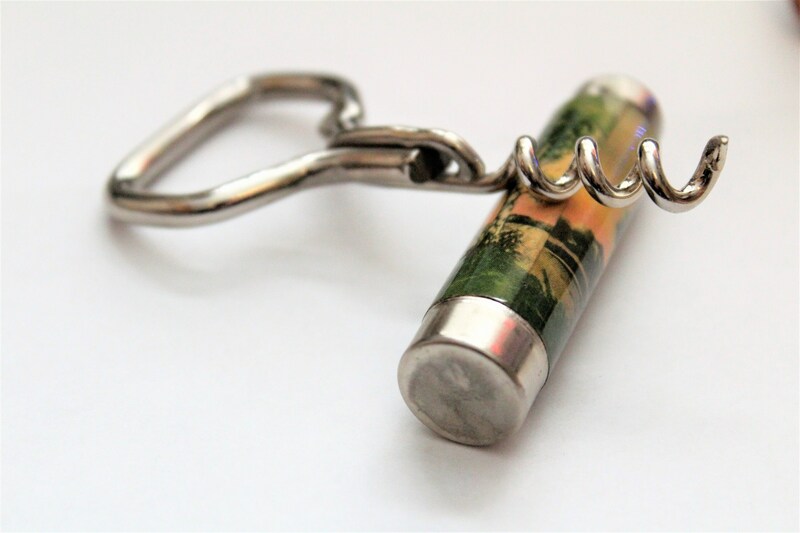 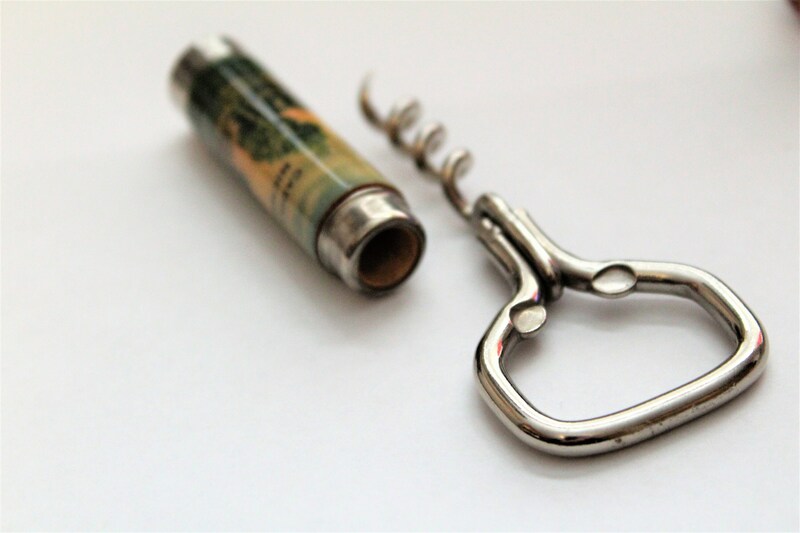 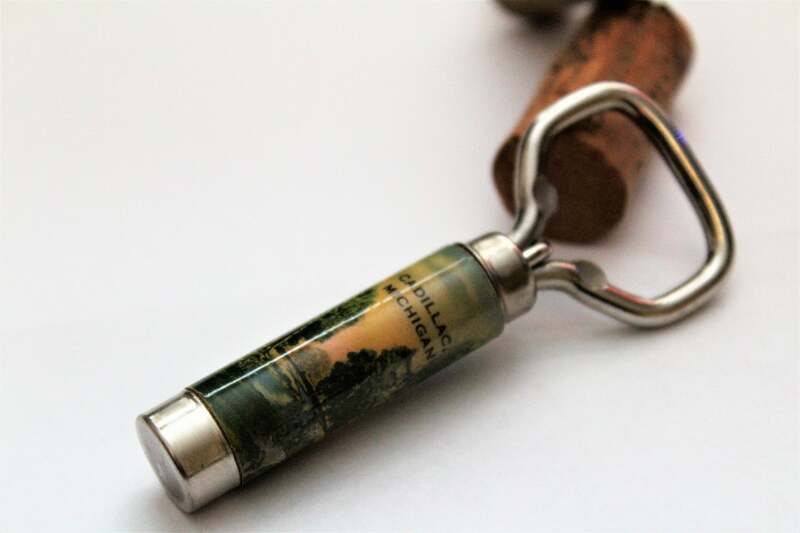 The "Flash" Corkscrew and Bottle Opener were made 1929 – 1950s these often have a scenic picture and have a US town and city, or a classic US tourist destination printed on them.